The Regin Fire 'n' Flue Seal High Temperature Resistant Silicate Cement Sealant is a multi-purpose sealant, specifically designed for applications where heat resistance is required. 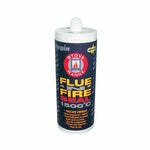 The Regin Fire 'n' Flue Sealant has excellent adhesion to metal, brick and concrete making it ideal for permanently repairing and sealing joints, cracks and fissures in fireplaces, ovens and chimneys and can also be used for repairing and assembling of vehicle exhaust systems. 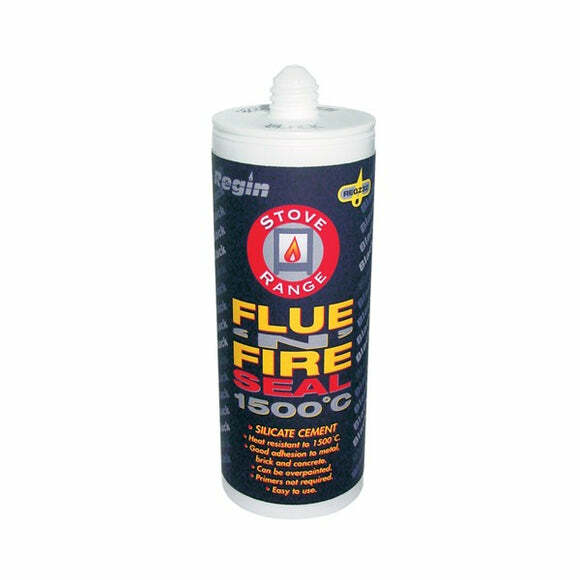 The Regin Fire 'n' Flue Sealant is fully heat resistant to 1500°C, can be easily painted over (with no primer required prior to being applied) and includes a nozzle for quick and easy application.